It’s the final Wyman Wednesday of 2017 and you’ll be glad to hear I won’t be getting all emotional, as I have many exciting things in 2018 to look forward to. Well hopefully 40-minute races will lead the list, but a new start and opportunities will be a very close second. At 36 years young, I’ve never been more motivated to achieve or more excited about the potential of our sport. 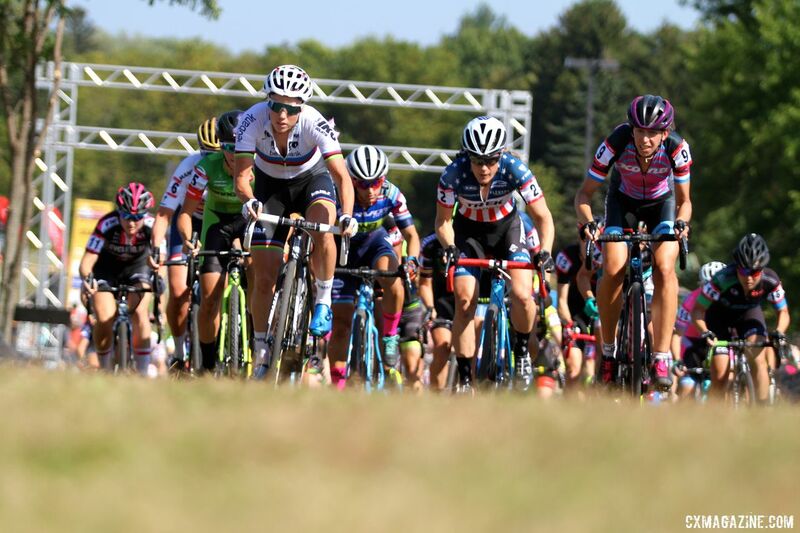 That doesn’t mean I’m satisfied with the way the women’s ’cross cookie is crumbling right now, but I’m loving the mass of talent the sport has. They are not only breaking rules, they are preventing parts of our races from playing out the way they could. 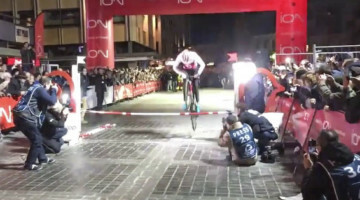 They are stopping riders fighting for prize money, classification points and UCI points. 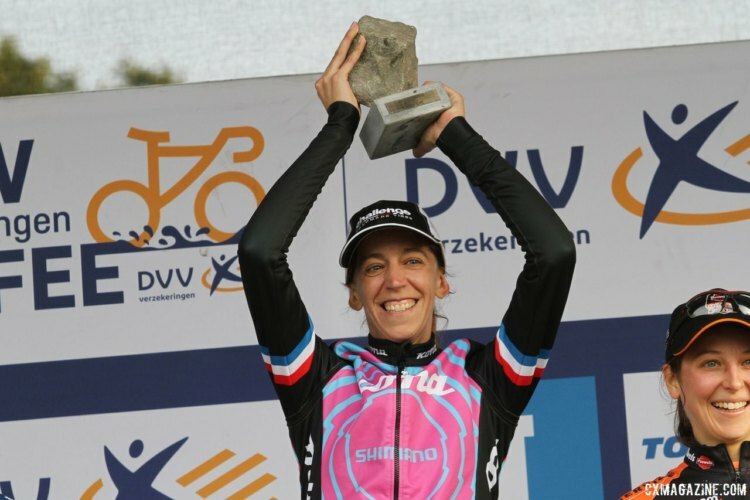 Most importantly, they are robbing us of eight to ten minutes of TV for our sponsors and forcing a divide between men’s and women’s racing in terms of the perception of the event. We can race long; I’d be happy to do an hour. Fifty minutes is ideal. I’ve said it before but I’d like both the men and women’s races to both be 50 minutes. Equal time, one set of rules, simple. Of course, we’d need to bring in a U23 Women’s category quickly if race lengths are increased to an hour, but why haven’t we gotten one yet? The men have three categories to our one; seems fair right? Earlier this season during one of many long journeys, we were discussing the depth of talent in women’s ’cross and we came up with 16 riders we thought were in contention for the win in early races. It’s maybe the strongest field we’ve ever had, but of course, we have to remember that “Elite” includes under-23 riders as well. A few months later, we can add a few more names to that list, including some old favourites: Pauline Ferrand-Prevot and Marianne Vos, and some new stars: Evie Richards, Lucinda Brand and Ceylin del Carmen Alvarado. 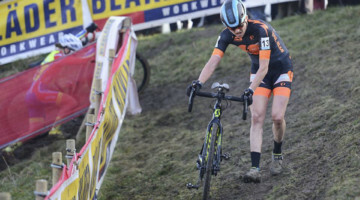 Now with maybe 20 riders who you could reasonably say could win a race, I think we can honestly say that right now women’s cyclocross is in a healthy place in terms of talent. The races are extremely exciting, if a little short, and audience numbers are significant. Hopefully, I can stick around in that elite group for a while longer. The last two weeks have included five races, a win, some more podium time and some frustration. I’ve learned to deal with the downs and hope to take them in my stride. 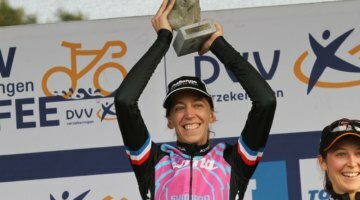 With the wealth of talent we have in the sport now, you can’t bring your B Game to an Elite Women’s race and expect to get a result. With the better part of a season off last year, I actually am still in need of more cross training in certain conditions. 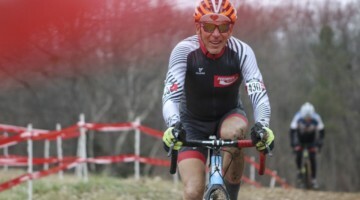 You can train as much as you like for ’cross, but until your training grounds reflect the conditions of the races you are facing, you can’t get those skills perfectly dialed. Belgium and the cyclocross gods came to the rescue last week and covered the country in snow, giving me no excuse not to get out there in the ruts. In Europe, we are lucky that we get to train on the actual course up to a week in advance of an event. But at this time of year, with weather and calendar stacking issues, that’s not always possible. That brings me, appropriately to CXmas, that period of the year where we seemingly just race back to back for the crowd’s pleasure until we are at the breaking point. I guess that’s a slight dramatization of the situation, as we do get days off, but it’s at this time of year where careful calendar planning can help you a lot in January. Sometimes that means racing more as the weather is so bad that a closed race course is the best place to train. Other times missing events to get some miles in is more optimal. We will see riders doing all sorts of things, but what it will all come down to is how they perform in January off the back of it. A lot of people say if you finished now, you’d have had a good season. I hear that a lot, and I believe it. However Belgium is a slightly more extreme place, so not only do we have a choice of around 100 races to do over CXmas, you’re expected to perform in all of them. In Belgium, you really are only as good as your last result. If I had a Euro for every time someone talked to me about the IJsboerke and World Cup series rankings, I could fund a development team. That’s not to mention those that tell me I’m “bad at the moment” after a place outside the podium. The School of Hard Knocks is real here, so let’s use the festive season to be nice and say “well done” a little more. It’s 12 days until the new year, a new start and new opportunities. It’s been a wild ride the past few months. I’ve gone from an impending retirement to podiums and performances that have brought new opportunities. The GP Sven Nys in Baal is always a fun day out, with many kit reveals and riders eager to impress. This year will be no different, but for me, it’s the first time January 1st will be a date of significant change. It’s such an odd situation in ’cross when contracts follow the calendar year not the sports year, but it does give us an opportunity mid-season to throw out some surprises. Just the small matter of four more races before Baal to get my wheels around first. Prettige kerstfeest en een gelukkige nieuwjaar. Looking forward to the surprise on Jan 1st. There just isn’t enough women to start having separated groups of Elite, U23 and Junior. 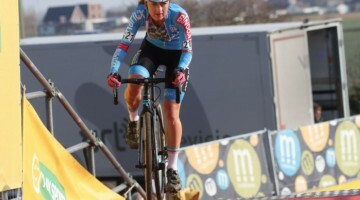 Namur lap times were hugely different between Men and Woman events.